Missing fries? How about fries made from radishes? They taste really good with reduced sugar ketchup! Enjoy the recipe! 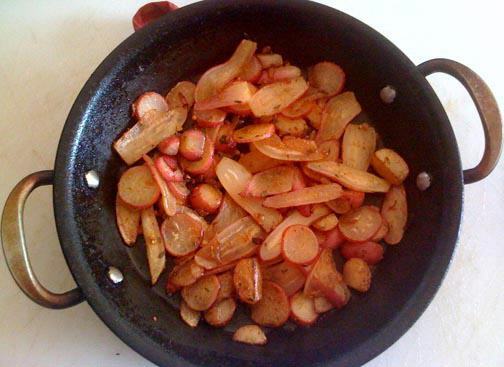 Cook the radishes and onion in a pan sprayed with butter Pam on medium-high heat. They're done when they are translucent and the edges are brown.